About Wildlife Removal Services, Inc.
Hi, I’m Patrick Barry and I operate Wildlife Removal Services, Inc., a professional, fully licensed, bonded and insured wildlife control and critter removal service located in Boca Raton. We humanely and effectively trap and remove nuisance animals for residences and businesses across Broward County and Palm Beach County. We are critter (wildlife) specialists only. We do not handle bugs or dogs. You can contact an exterminator if you have bug issues. If you have problems with dogs you can call Broward County Animal Services at 916-359-1313. Broward County Animal Services is a free service for domestic animals only. Broward County Animal Services will not handle wild animal issues – but we will. I humanely remove all types of nuisance wildlife from homes and buildings. 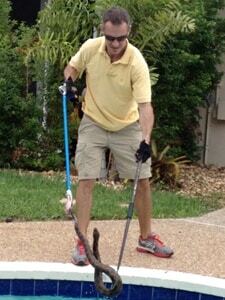 I service both residential and commercial accounts with wildlife control in Boca Raton.